I am one of the 80,000 adoptees from China who currently live in the United States. 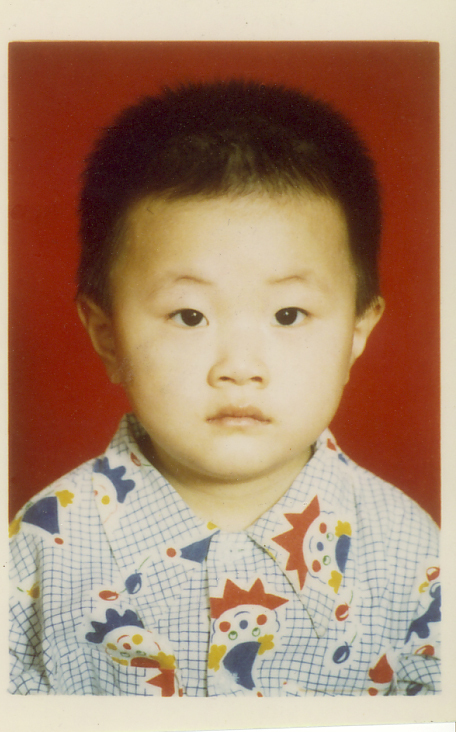 I was born in Nanjing, Jiangsu Province, China, and when I was two years old, I was abandoned and taken to the Nanjing Social Welfare Institute, where I stayed for a year. At three years of age, I was adopted and have lived in the United States ever since. I have had the good fortune to go back to China twice and plan on returning in the near future. Former writer and co-editor for Gazillion Voices adoption magazine. Below is the referral picture my parents received in the mail. Thanks for sharing this with me. I’ve seen this tossed around quite a bit on Facebook and might write about my own feelings on the comments and project at large once I have a bit more time. Thanks for following! Just dropping a note to say I love your writing. You are thoughtful and measured in your commentary. Enjoyed your consumer culture piece. This middle-aged. overweight, white woman agrees with you. Consumers must stop buying the blond blue eyed white dolls or they’ll keep making them. Some great new companies out there including the Positively Perfect Diva Collection (now featuring Latin and Dark Skinned dolls) are making strides in the ethic play doll market but Asian dolls are falling behind. Adora’s Jasmine doll is one of the most popular out there and one of the only ones out there. At least some companies are starting to get it. Constructive Playthings distributes Today’s Girl featuring Leah and a limited edition Mia who have “asian” eyes but sallow complexions. Toys R Us’ Journey Girls feature Callie who looks like their other dolls with a slightly almond eye shape. Asian play dolls, much like Asian children, are completely underrepresented in today’s play world. And yes, I’m using the world Asian because I’m not sure there’s a better one out there. There are definitely no dedicated nationality play dolls marketed – the almond eyed dolls are always classed as one melted pot of non-white and non-black (note: Carpetina does make some thin bodied dolls with specific origin stories that are very nice but a real exception to the market). It’s sad. I raised a young lady from China after her adoptive mother rejected her. We had many discussions on the limits of copycat play when you look different from your dolls. Thanks for keeping it real. Thanks for reading, Chrissy! I’m glad you enjoyed my piece on consumer culture. I agree that Asian dolls are extremely hard to find. Is it still possible today that a baby girl would be abandoned at the age of two and taken to the Nanjing Social Welfare Institute? I know of a Chinese woman from Nanjing, who is in her late 30’s and has a sister. They were raised in China with their birth parents. What would a family have to do in Nanjing in the mid 70’s to be allowed to have two daughters? The One Child Policy wasn’t enacted until 1979, so there wouldn’t have been any legal stipulations during the mid 70’s. Taiwanese adoptee checking in. I am not sure if you still check this blog – last I’ve managed to piece together is that you were overseas for four months in Nanjing, starting back in January 2015. Thanks so much for reading and commenting – a long time ago! I’ve taken breaks from blogging over the years but feel a strong pull again. I love hearing from other adoptees! Hope you’re doing well! Wow. What a heart you DON’T have. I can hear the arrogance, selfishness, cold-heartedness, and just generally immature world view you hold! Add into this not a little anger. Anger at the WRONG things, the wrong people, the wrong systems. I can tell you are NOT a parent, nor should you ever be. Whether an adoptive or natural parent, the sacrifice, gargantuan LOVE, and giving – but let me emphasize that word SACRIFICE again. Those characteristics that go into being a parent is the closest thing on this earth to God’s love, and buddy you just don’t get it. I am appalled at your wordy condemnations of adoptions and your naive world-view that foolishly thinks a few changes in politics can change them. Shame on you. You have a LOT of growing up to do. Frankly, my heart goes out to your adoptive parents to have provided you with such a fine life and education and many thousands more of life opportunities – Only to have such a selfish and ungrateful son become the crusader against international adoptions. Sharon – I am appalled by the fast assumptions and harsh personal character criticisms you have made about me after clearly not reading much of my blog. With just minimal glances, it would be easy to know that I am not a son. I am very clearly a woman and often write about the challenges of being an Asian woman in America. Further, if you had read articles I have written on this blog, you would see that I take a very nuanced approach, being careful to not place blame on all adoptive parents and extending empathy to adoptive parents while revealing the blatant corruption in the system. Secondly, your false accusations about my personal characteristics serve no purpose other than to verbally abuse, attack, and shame me. (You literally said, “shame on you.”) You accuse me of being negative, critical, judgmental, and cold-hearted, and then immediately do the exact same thing to me in the extreme. Suggesting that I should never be a parent, for example, is not a constructive comment about the topic – international adoption – and derails from the important conversations that should be happening on this blog. Lastly, your comments fall in line with the traditional stereotyping tropes that adoptees need to be extra grateful for their life circumstances as well as the polarization of the “angry versus happy adoptee.” I will tell you that I am grateful to my parents in the same way any child is grateful to their parents for raising, nurturing, and loving them. I am not more grateful to my parents because I was adopted. And while it is nice that you have extended your heart to my parents, please know they are fully supportive of this blog and my work. An adoptee (and adoptive parents) can critique all components of the international adoption system and still love their family. It is not a strict black and white dichotomy. Through my blog, I am attempting to give an honest and critical analysis of issues related to adoption and being a person of color based on my knowledge and experiences, while your comments are only attempting to do a character assassination against me because you disagree with my point of view, which should answer any question of maturity for onlookers who read your comment and this subsequent one. 收养的人	– you should never have to defend your body of work against someone who is capable of receiving it. I’m sorry to see that’s happened. Thank you again for who you are and the dialogues you encourage that bring those who are capable forward. Thank you for your supportive comment, Nonna! I just found this blog–I was googling 23 and Me to ask if it would give an ethnic breakdown of my adopted Chinese daughter’s DNA (Han vs Chinese ethnic minorities vs other Asian ethnic groups). So I spent some time reading your blog and links to other resources. International adoption has likely been a long strange journey for everyone involved–parents, children, siblings. I adopted my now 19-year old daughter in 2000, when she was a bit less than one and a half years old. I’d divorced when my son was four, and I’d still wanted another child. I decided to “eliminate the middleman” by adopting. My daughter’s story is different from many other adopted children’s; she proved to be seriously developmentally disabled and has required special education throughout her schooling and will need assistance throughout her life in the future. Fortunately, I was able to raise her in an area of California that is very Asian (Chinese, Vietnamese, Korean, etc.) It’s been interesting to watch her gravitate toward Asian friendships throughout her schooling. My son and I (white people) have become more involved with Asia over time as well. My son has now been living and working in Taiwan for two years. Last year I took my daughter to Taipei and it was amazing to see her reaction the first time she walked out on the street. She looked around and said, “Mom! Me! Baby! Here!! !” (I did not launch a discussion at that time about the differences between Republic of China and People’s Republic). It was incredibly moving to see her respond to her earliest life memories–of home. I am looking for a business to start that could provide a job for my daughter and other disabled young people, and one possibility I’m exploring is a small, somewhat traditional tea house (hot tea only; no custom-made drinks, no boba). This would give us a chance to continue traveling and forming connections in Taiwan and China. All best wishes to you as you continue your journey. Your perspective and voice are valuable. Thanks for reading and taking the time to comment to me. I imagine that your daughter and my experiences are very different but that there are still common threads. It seems like you’re a very supportive mother, and I hope you continue to read my musings and reflections here. Your tea house idea is wonderful, but I encourage you not to dismiss boba so quickly! Bubble tea is truly a part of modern culture, not just a Westernized fad!